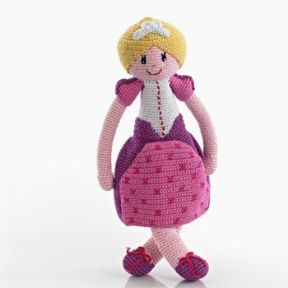 Beautifully hand made fairtrade, cotton crochet Princess, for your little princess, all dressed in pink. stands at approx 32cm tall. Toys are handmade and may vary slightly to photos.